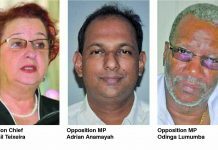 The Opposition People’s Progressive Party/Civic (PPP/C) wants the Public Procurement Commission (PPC) and the Guyana Police Force (GPF) to probe recent moves by Government to raise the threshold for restricted contracts. 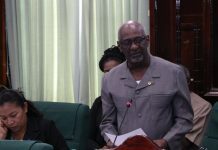 The gazetted Procurement (Amendment) Bill of 2019, which was signed by Finance Minister Winston Jordan, will see larger contracts being awarded without the benefit of advertising. 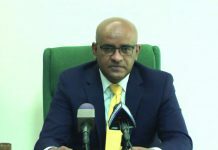 This move, Opposition Leader Bharrat Jagdeo has said is illegal, and he is calling on the relevant authorities to look into the matter. “I’m calling on the Public Procurement Commission to look into this matter immediately. We will write the PPC and we will probably write the Police, too, on this matter. Jordan will have a lot to answer for in the future because of this illegal act,” Jagdeo stated. 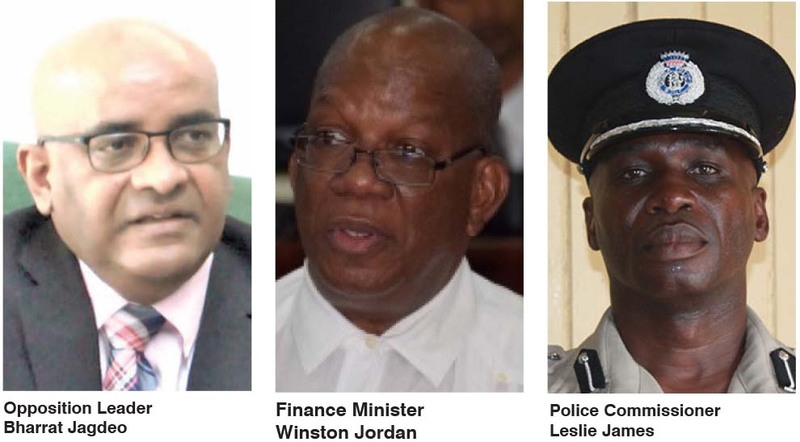 According to Jagdeo, the law clearly states that the Cabinet and the Procurement Commission shall review the Cabinet’s threshold for the review of procurements annually with the objective of increasing the ceiling overtime to gradually phase out Cabinet’s role in the procurement process. “So this says, the Cabinet and the PPC, upon its establishment, must annually review the thresholds; not the Minister… [But] there is no Cabinet – the Cabinet was resigned – so that only leaves the Public Procurement Commission and the Public Procurement Commission has not met on this matter. So Jordan acted illegally when he acted on the advice of the [National Procurement and Tender Administration] Board (NPTAB) that he controls and that in itself is complicit in tons of wrongdoings. And I noticed even the Chairman of the Board [Berkley Wickham] didn’t even sign that circular,” the Opposition Leader pointed out. 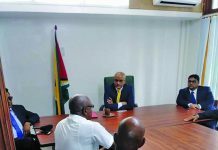 Jagdeo went on to outline that these changes to the country’s procurement laws is a recipe for corruption since it gives the Cabinet more leverage on contracts. The Opposition Leader warns that any State agency or public official who complies with these changes will be held accountable. “I urge the Permanent Secretaries, the agencies and corporation heads, the regional administration heads to pay careful notice because if they comply with this, they will be complicit in an illegal act and could held responsible for the consequences, that is, face the courts, face the charge or face sur-charges,” he told reporters. The gazetted changes saw the threshold for restricted contracts for goods and services move from $3 to $10 million (233 per cent increase), while construction contracts have been increased from $10 to $20 million. Additionally, quotation methods of procurement have been raised to $3 million. In a letter dated February 4, 2019, Deputy Chairman of NPTAB, Mark Bender, informed State agencies and public officials of the gazetted changes, which take immediate effect. But Opposition Member of Parliament, Juan Edghill, explained that with the December 21, 2018 passage of the No-confidence Motion, this move is illegal. He referred to Article 106(6) of the Constitution which states that on passage of a no-confidence motion by the majority of all elected members of the National Assembly, the President and his Cabinet shall resign, coupled with the CJ’s ruling of January 31, 2019 that following the passage of the motion, the President and Cabinet stands resigned. “Therefore, they are merely in office in a caretaker capacity and as such, these actions are unconstitutional. It is therefore logical that the letter by Mr Mark Bender authorising (officials) to implement these new thresholds is illegal and will lead to criminal proceedings being instituted against public officials who may be tempted to act on such a directive which is illegal,” Edghill stated.